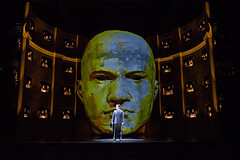 British video designer Luke Halls made his Royal Opera House debut in 2014, working with regular collaborator designer Es Devlin on two productions: Don Giovanni, directed by Kasper Holten, for The Royal Opera (winner of a Knight of Illumination award); and Alastair Marriott’s Connectome and The Unknown Soldier for The Royal Ballet. In the 2014/15 Season he created video designs for the ‘Life Reimagined’ gala and for Król Roger, also directed by Holten. Halls has produced video designs and animations for a wide variety of music, theatre and dance performances. 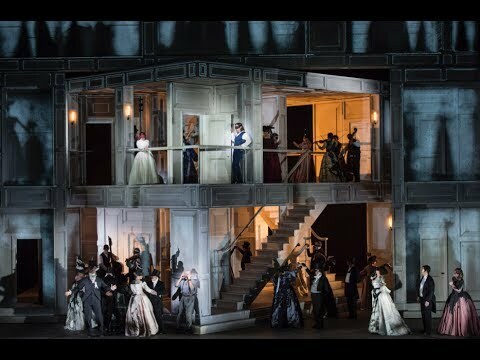 Opera work includes Otello for the Metropolitan Opera, New York, The Cunning Little Vixen for Royal Danish Opera, Carmen for Bregenz Festival, Der fliegende Holländer for Finnish National Opera and Elegy for Young Lovers for Theater an der Wien. Theatre work includes The Nether (Royal Court/West End), Linda (Royal Court), Man and Superman (National Theatre), Miss Saigon (West End) and Mary Poppins on tour. Television work includes the ITV show The Cube, for which he was awarded a BAFTA. Halls has worked prolifically for bands on tour, creating video designs and animation for tours by Pet Shop Boys (Pandemonium and Electric world tours), U2 (world tour and 2011 Glastonbury Festival), Nitin Sawhney and Rihanna (Brit and Grammy Awards), among others. In 2012 he was Creative Director of screen content for the London Olympic and Parlympic Closing Ceremonies. When the huge stage you're working on can accommodate 33 red London buses, how do directors illuminate the nuanced inner struggles of a character?